Moving Ahead With Jehovah’s Organization – Until When? Home/Commentary/Moving Ahead With Jehovah’s Organization – Until When? I am engaging in the holy work of the good news of God.—Rom. 15:16. Preaching the good news contributes to the sanctification of Jehovah’s holy name. And it surely is an inestimable privilege to be entrusted with “the glorious good news of the happy God.” God wants us to maintain good spiritual health by sticking to him and supporting his organization in its various activities. 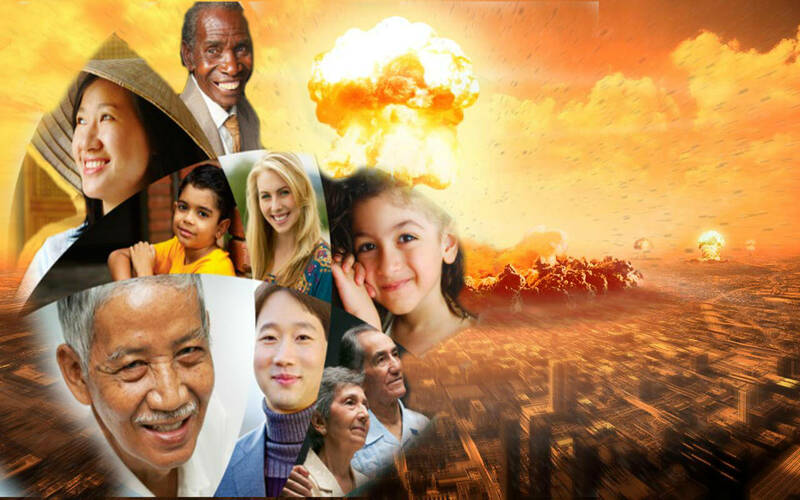 Moses told the Israelites: “I take the heavens and the earth as witnesses against you today that I have put life and death before you, the blessing and the curse; and you must choose life so that you may live, you and your descendants, by loving Jehovah your God, by listening to his voice, and by sticking to him, for he is your life and by him you will endure a long time in the land that Jehovah swore to give to your forefathers, Abraham, Isaac, and Jacob.” Our life depends on doing Jehovah’s will, loving him, obediently listening to his voice, and sticking to him. The article states that the organization is successful because it has Jehovah’s approval. And the assumption is that it always will. To prove their point they cite the prophecy of Ezekiel concerning the attack upon “Israel” by Gog and his hordes and Jehovah’s crushing response. 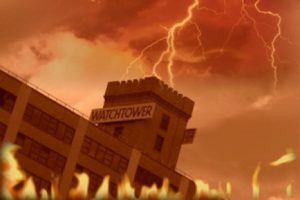 The issue, though, is not whether the Watchtower is Jehovah’s organization. I, for one, believe that it is. The question is: Will it continue to be going forward? If you read the entire article the Watchtower points out numerous features of the law that God gave the Israelites that foreshadow aspects of the modern organization. For example, in paragraph 11 the annual festivals are compared to assemblies and conventions sponsored by the Watchtower. The question for thinking Jehovah’s Witnesses to consider is this: Since there is an obvious parallel by what method of reasoning does Jerusalem of old come to represent Babylon the Great, the world empire of false religion? The reason that question is pertinent is because on the one hand the Watchtower recognizes that Israel and their temple-centered worship served as Jehovah’s earthly organization then, but on the other hand they assert that the holy place that Jesus said would be desolated by a disgusting things represents the entire system of false religion. There is only one reason for that wholly unreasonable, unscriptural leap of logic. It is because everything the Watchtower teaches as regards prophecy places all of God’s judgments against Christianity into the past —the past in this case being 1914-1919. That is why Bethel has developed a rather elaborate mythology around the events associated with J.F. Rutherford’s brief imprisonment and his subsequent release from Babylon the Great. The Watchtower’s fallacy becomes more recognizable when we consider the facts. According to the WT the “Jerusalem” that Jesus foretold would be brought to desolation during the tribulation represents apostate Christendom and even Babylon the Great because the religion of the Jews in Jesus’ day had become apostate. But was it? Did Jesus advise his followers to ‘get out of her,’ to abandon Judaism? Not at all. In fact, Jesus used the Jewish form of religion as the basis for his own teachings. To illustrate the point, in his Sermon of the Mount Jesus taught that if your brother has a grievance with you then leave your gift at the altar and go make peace with your brother. Then come back to the temple to offer up your gift. Obviously, Christ had in mind offering gifts at the temple. Furthermore, although the institution of the Pharisees was not something that was part of the original organization, but came into existence after the Jews returned from Babylon, nonetheless, Jesus commanded his followers to obey the Pharisees, just not imitating their hypocrisy. Clearly, the apostles did not consider the temple as unholy. Quite the contrary, they not only preached to the Jews in the temple, but also went to the temple to worship and pray. An angel even commanded Peter to go to the temple and preach. Had they considered Judaism to be a false religion Jesus’ disciples would never have based their Christian activities upon the temple. And to emphasize the point, in the account in the 22nd chapter of Acts Jesus even appeared to Paul in a vision while he was in the temple praying, telling him to get out of there because the Jews were going to kill him. If Jesus considered the temple to be unholy wouldn’t he have told Paul to get out on the basis that the temple was unclean? Seeing that the Jewish Christians did not abandon Jerusalem or the holy temple until the disgusting thing appeared, requiring them to exercise faith in Jesus’ words, there is no legitimacy in the Watchtower’s claim that Jerusalem foreshadows Babylon the Great. Instead, it aptly prefigures Jehovah’s earthly organization now, which as Daniel reveals (let the reader use discernment) is due to suffer desolation when the last king comes on the scene. Sadly, Bethel’s blindness finds a parallel with the Jews who did not discern the time of their being inspected.